With all the goings-on around the Super Bowl, there is one holiday that is getting over looked. The Lunar New Year has arrived. So while everyone in the west is trying to figure out how to make a football stadium with carrots and cheese bacon cornflake avocado dip, I took another approach to this weekend. 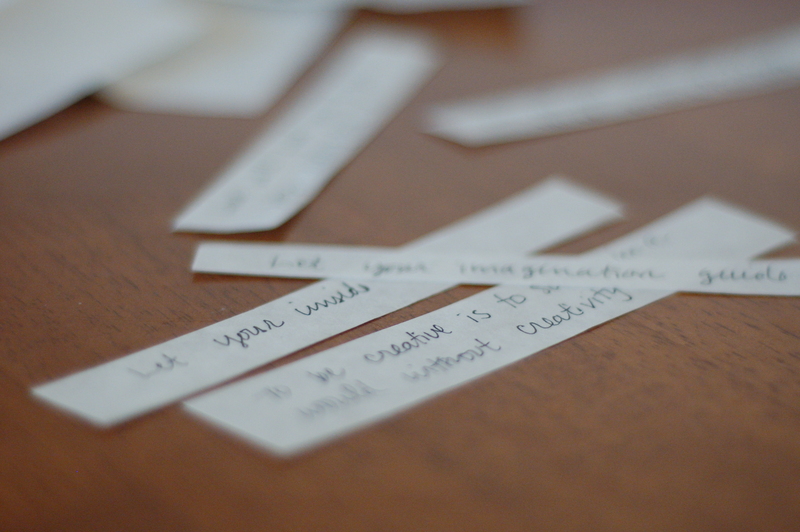 I decided to sit down and write out some thoughts on paper… and share them, in cookies. 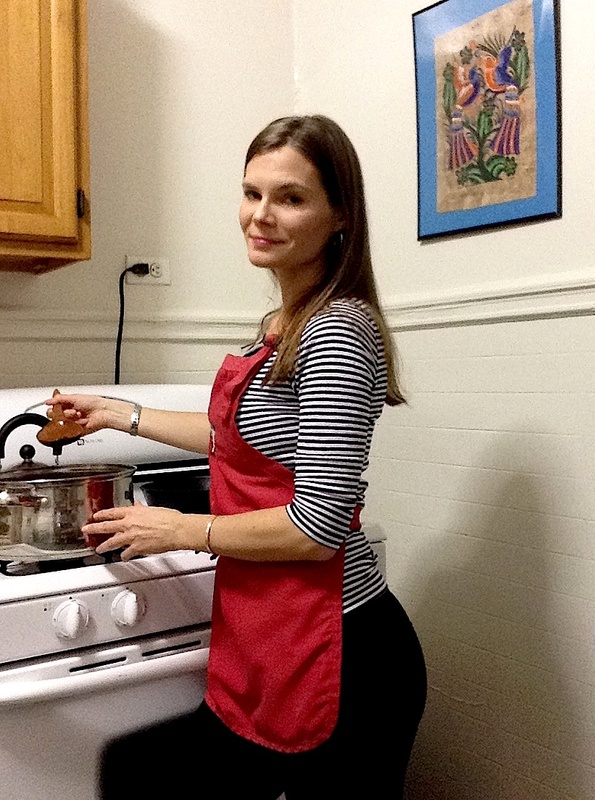 This recipe is very simple to make, yet difficult to execute at first. Put your thoughts on paper. Get creative. Words to live by, your future stuffed in a cookie. Love will find you, if you stop hiding from it. First, think about what you would like to say. 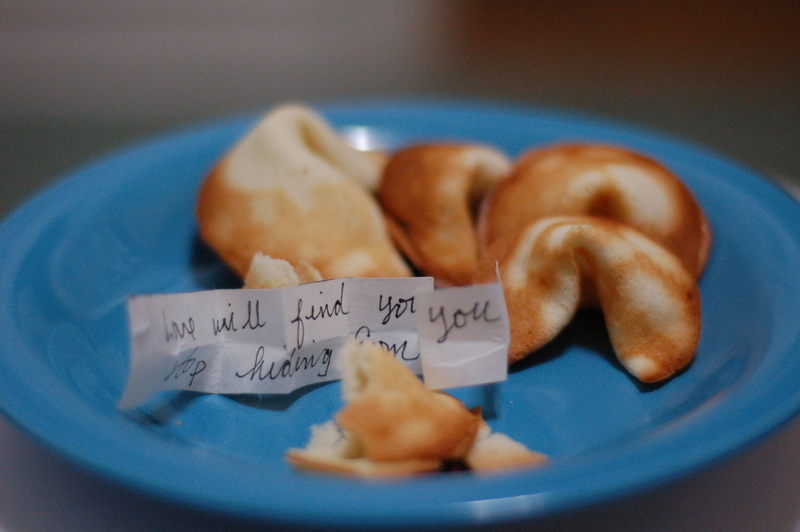 Write down your fortunes. Be creative. Tell someone to be a happy flower love sunshine plant or a dancing mystical dragon in the lunar woods. Preheat oven to 375˚ Butter two cookie sheets. Mix the egg white with the vanilla. Blend with a mixer until it is bubbly, but not foamy. Whisk sugar and flour together and add to egg mixture. The dough is going to be slightly runny. Place batter in an icing squeeze bottle. You can also use one teaspoon of batter and place on sheets, but the bottle works with a little more control. If you use a teaspoon of batter place on sheet and move around until the glop of batter is about 3″ round and thin. If you use the squeeze bottle make circles until you have a consistently round disc of 3″. Take your time and only make about three cookies per sheet. They will become progressively better as you make them. My first three didn’t turn out so well, but the third batch was desirable. Three’s a charm. Bake for about 3-5 minutes, until slightly browned around the edges. Here’s where it gets even trickier. 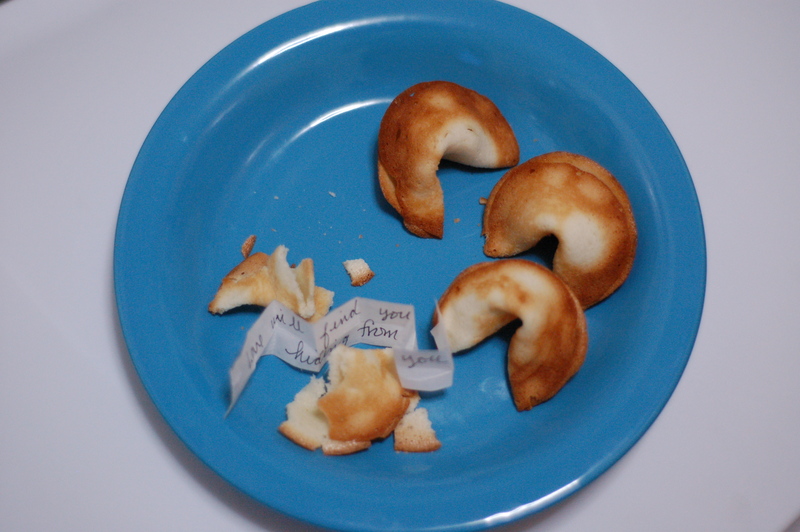 You have to place the fortunes into the folded cookies, and then fold again while the cookie is still hot. If the cookie is too hot to touch, then it is the perfect temperature to fold. Ouch! Happy Year of the Horse! This is so clever. What talent you have!